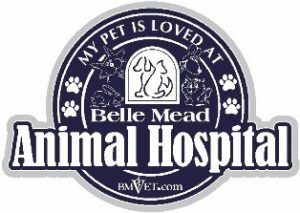 At Belle Mead Animal Hospital we see all types of dogs. Most are considered regular pets that provide their family members with additional love and companionship. But some fall into other more specific categories of support such as Service Dogs, Emotional Support Dogs and Therapy Dogs. All three categories are quite different, and the dogs have different jobs to perform. True Service dogs help disabled individuals perform functions of daily living for which they are limited, and therefore the dogs are not considered “pets.” In fact, the Americans with Disabilities Act (ADA) defines a service dog as any guide dog, signal dog, or other animal who is trained to provide assistance to an individual with a disability. Their training is extensive and varied depending upon the individual’s needs. Some dogs are trained to pull wheelchairs. Others are taught to alert their owner to the sounds of the telephone, oven timers, alarm clocks, and smoke alarms. Therefore, individuals with mobility issues, visual impairment (blindness), hearing impairment (deafness), seizures, diabetes, PTSD, autism, epilepsy, multiple sclerosis (MS), and other physical/mental disabilities often qualify for a Service Dog companion. Service Dogs are protected under the American with Disabilities Act and therefore must be allowed access along with their human companions to public restaurants, libraries, supermarkets, churches, transportation systems, and more. Because of their performance expectation, service dogs are often chosen by breed for certain characteristics, but the ADA does not limit to any one breed. Labrador retrievers, Golden retrievers, and German shepherds are popular breeds who fit the profile. Puppies must pass a check-list of behaviors to be considered for further training which can be 18 months long at a dog training facility specializing in service dogs. It is not required under the ADA that disabled individuals provide an identifying vest for their Service Dog and/or carry identification when out in public. Therefore, the best way to judge if the dog is a true Service Dog is by observing the dog’s high level of discipline, obedience and calm attention to his human companion. Remember, the ADA does not limit the training of Service Dogs by breed or size, so the dog’s positive behavior is the most important characteristic when no identification is presented. Please refer to the Frequently Asked Questions about Service Animals and the ADA to learn more. Emotional support dogs help individuals with emotional problems by providing comfort. More specifically, those with anxiety, depression, bipolar/mood disorders, panic attacks, and other types of emotional/psychological conditions are good candidates for an Emotional Support Dog. Emotional Support Dogs are protected under the Fair Housing Amendments Act and the Air Carrier Access Act. Therefore, they can accompany their owner on planes and are permitted to live with their owner in all housing regardless of pet policy. If you or someone you know are suffering from an emotional or psychological condition, a physician may prescribe an Emotional Support Dog. Emotional Support Dogs are not task trained like service dogs. As long as the animal is reasonably well behaved, very little formal training is required as a prerequisite. However, all dogs benefit from proper training and socialization, so it’s still important that the dog learn all basic commands and be well socialized with people and other pets. Emotional Support Dogs are not typically taken anywhere pets would not ordinarily go without permission, but it is advised they be identified by wearing an emotional support dog vest or tag. Some businesses, such as airlines, prefer to see an identification card or vest on the animal. Therapy dogs provide affection, comfort, and joy to individuals in hospitals, nursing homes, and other facilities, sometimes after natural disasters. Since many people are able to connect with dogs in an emotional way and feel the love that they provide, a visiting Therapy Dog offers a therapeutic effect. Many breeds can be considered for Therapy Dogs, and there are several organizations around the country that provide Therapy Dog training. 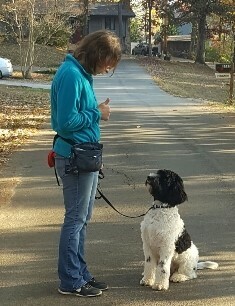 The dogs are typically trained in basic obedience (sit, stay, down, stand, walk on a loose lead). They participate in socialization exercises with other dogs and people, and they learn to meet and greet a variety of people while remaining calm. 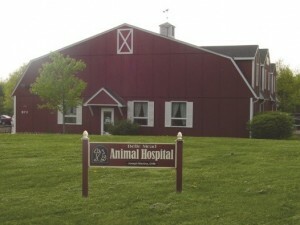 The dogs are also introduced to hospital equipment and owners are coached on safe dog-handling in health care facilities. There is no specific law protecting Therapy Dogs, and they are not necessarily permitted access to public facilities along with their owner. Access is granted by the facility on a case-by-case basis. Therapy dogs are typically welcomed if the dog is well trained and obedient, does not pose a threat to others, can benefit those present at the facility, and does not adversely affect the facility’s operations. 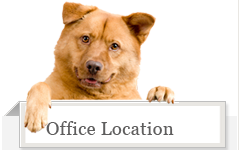 It is important that the dog remain calm and well-behaved while making visits. The United States Dog Registry offers a wealth of information if you or someone you know would benefit from a Service Dog, Emotional Support Dog, or Therapy dog. Service Dogs do come at a cost for the identification and special training they require to meet all the needs of the disabled person. 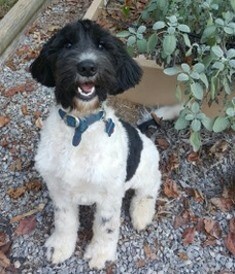 Visit Service Dog Gracie for TBI Survivor if you are interested in learning more and even helping support funding for Gracie’s service dog training. Gracie has been identified as a match for Traumatic Brain Injury Survivor, Greg Costa.